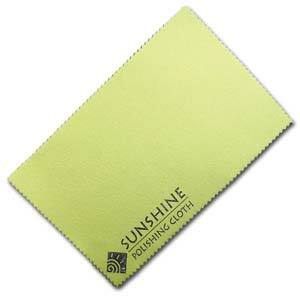 You will love the cloth that safely cleans jewelry, metals, and almost any surface. Soft and felt-like, this amazing cloth is embedded with special no scratch micro-abrasive & chemical cleaning agent which works for double cleaning & polishing action on gold, silver, brass, copper, mirrors and glass. Measures 7.5 x 5 inches. The best eCommerce software by ShopFactory powers P1677. All-in one eCommerce and shopping cart software.